Registered Dietitian Natalie Rizzo evaluates the pros and cons of ketogenic diets for runners. Ketogenic diets are on the rise among runners who hope to lose weight or teach their bodies to use fat as fuel. But a new study in Nutrition & Metabolism suggests that following a ketogenic diet may actually hinder your athletic performance. So what’s the truth about this diet and why does it have so much hype? For decades, scientists and nutritionists have promoted carbohydrates as the main fuel source for exercise. We know that high carbohydrate diets increase the amount of glycogen stored in the liver and muscle, which improves endurance performance. Yet many athletes and scientists have recognized that the body is full of fat stores, and they wonder if we can tap into those stores for fuel. The major drawback is that it takes longer and requires more energy to utilize fat instead of stored carbohydrates. Still, many scientists are exploring this possibility by feeding athletes a high fat and low carbohydrate diet to observe changes in metabolism and performance. Recreational athletes are now trying this technique in the hope of burning fat and losing weight. The amount of fat one eats on a ketogenic diet varies, but the range is typically 75 percent fat, 20 percent protein and 5 percent carbs. To put that into perspective, a woman eating 1,800 calories a day would eat 150 grams of fat, 90 grams of protein and 22 grams of carbs. That’s a drastic shift from the typical carb-heavy runners diet. A recent study looked at the effects of the ketogenic diet on physical fitness, body composition and fat metabolism in healthy adults. Forty-two healthy people with an average age of 37 followed a ketogenic diet for six weeks. Seventy-two percent of their calories came from fat, 21 percent came from protein and 7 percent was from carbohydrates. 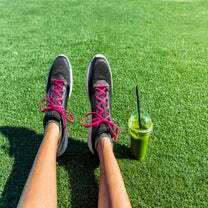 After six weeks, the researchers measured each subject’s exercise performance and found that their oxygen uptake (or aerobic endurance) decreased by 2.4 percent and the individuals became exhausted more quickly. Additionally, their LDL-cholesterol (or “bad cholesterol”) rose by 10.7 percent. Both of those results are bad signs for the ketogenic diet. Another study examined how these results differed in well-trained athletes. This small study contained eight male subjects with an average age of 28 and at least five years of training experience. For four weeks, the subjects consumed either a ketogenic diet of 70 percent fat, 15 percent protein and 15 percent carbohydrates or a standard diet of 50 percent carbohydrates, 30 percent fats and 20 percent protein. The athletes on the ketogenic diet actually experienced a decrease in BMI and body fat, compared to those on the standard diet. Interestingly, their aerobic capacity was significantly higher at rest and during low- to moderate-intensity exercise. However, this effect reversed during the final stage of exercise, demonstrating that carbohydrates are the main source of fuel during high intensity workouts. 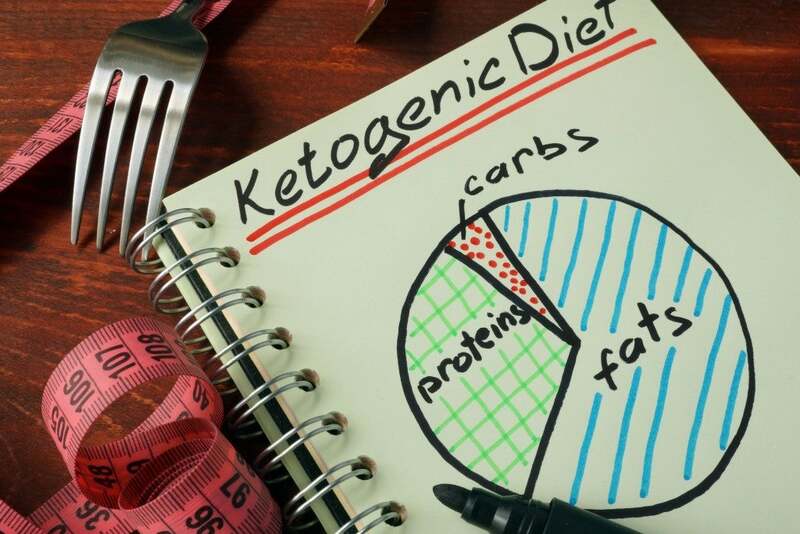 The jury is still out on the effectiveness of the ketogenic diet. As with many trends in nutrition, the results come down to an athlete’s level of training and ability to follow strict diets. If you decide you want to try this new way of fueling, consult with a registered dietitian first. Remember that fat is higher in calories than carbs or protein–there are nine calories in a gram of fat while there are only four in a gram of carbs or protein, so if you increase your fat intake, you may actually need to eat less. Another fact to consider: saturated fat has been linked to heart disease and high blood pressure, so it’s important to choose fats that are high in unsaturated fat, such as fish, nuts, oils and avocados.